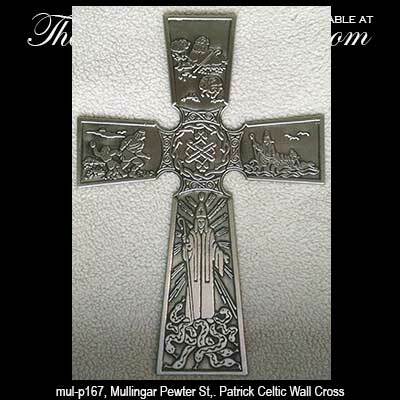 This pewter Celtic cross features four differently embossed panels that depict the life of St. Patrick; it is further enhanced with knot-work and shamrocks. 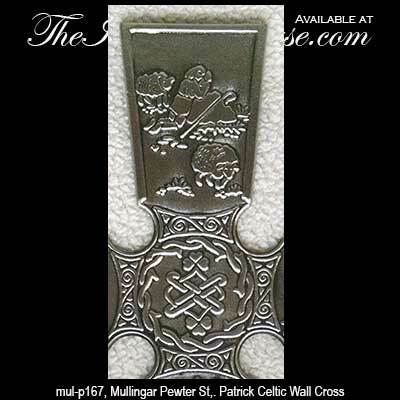 This Celtic wall cross measures 5 1/4" wide x 8" tall and is gift boxed with a history of St. Patrick along with Celtic cross, Celtic knot and shamrock history cards, complements of The Irish Gift House. 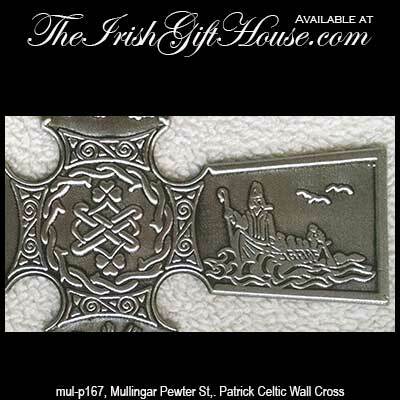 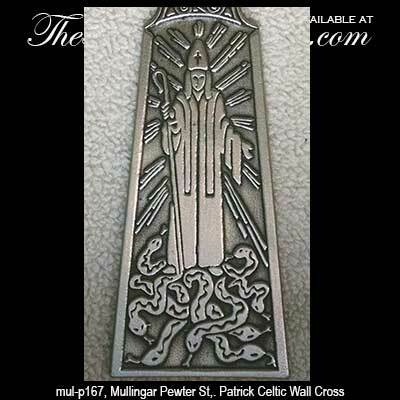 The Irish cross is ready to hang and is made in Ireland by Mullingar Pewter.